Written by MAU. from eDigital Agency. 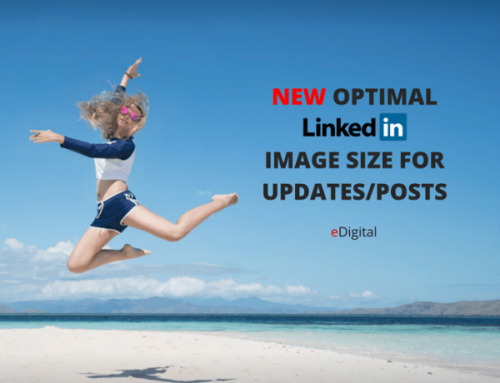 Find the topics you are following on LinkedIn. WANT THE INSTRUCTIONS AND STEPS ON HOW TO GET THERE? The full listing with their photos and details will be right below. 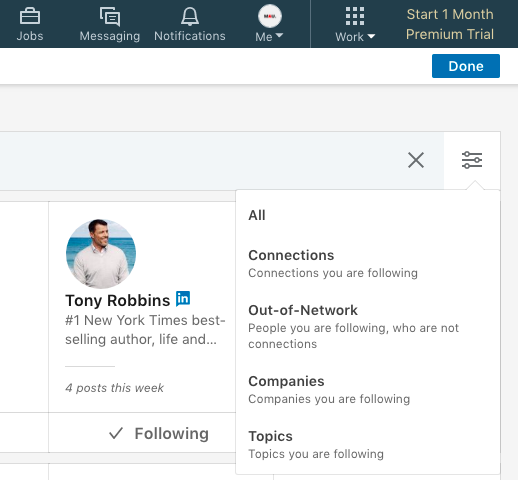 Then click on the the horizontal line symbol at the top right to choose from All, Connections, Out-of-Network, Companies, Topics. Viola! 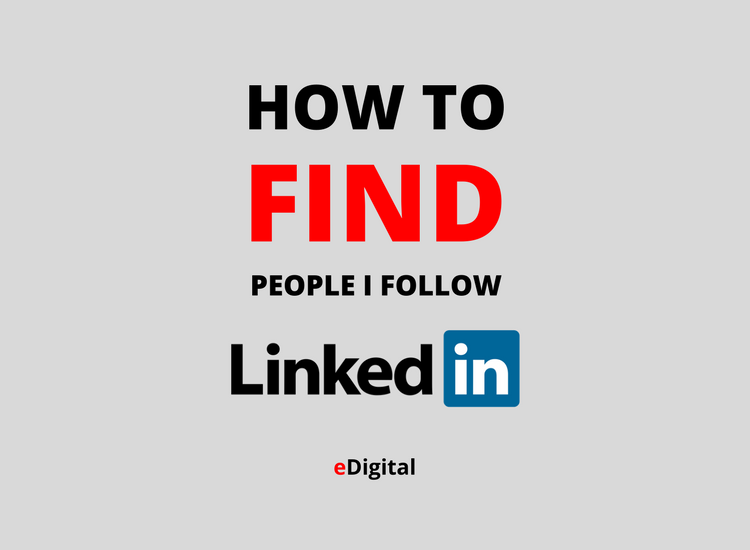 You find everything and everyone you follow on LinkedIn!